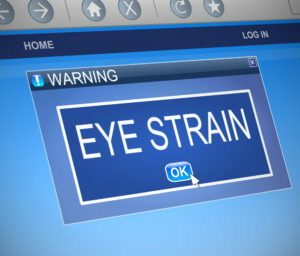 Eye strain can affect anyone in the office. Your eyes are delicate and it is vital that we protect these as much as possible. Eye injuries can occur due to tension and strain. Poor screen management causes unnecessary strains on the eyes which can often lead to headaches and in some cases migraines. Migraines often cause nausea and vomiting. As we know from earlier you are entitled to a free eye test voucher but you have a responsibility to adjust your monitor to ensure that it has sufficient light and that the settings are adequate for the user. Any problems regularly experienced with eyes should immediately be highlighted with an optician or a medical professional.